Worked in the UK, Ireland and New York. Pete studied at St. Andrews University and has an MA in English Language and Literature. He has worked in the creative industries in the UK and USA since 1982. He founded his own agency SMARTS in 1990. After selling the business to a plc in 2000, Pete became Executive Creative Director with The Gate in New York. 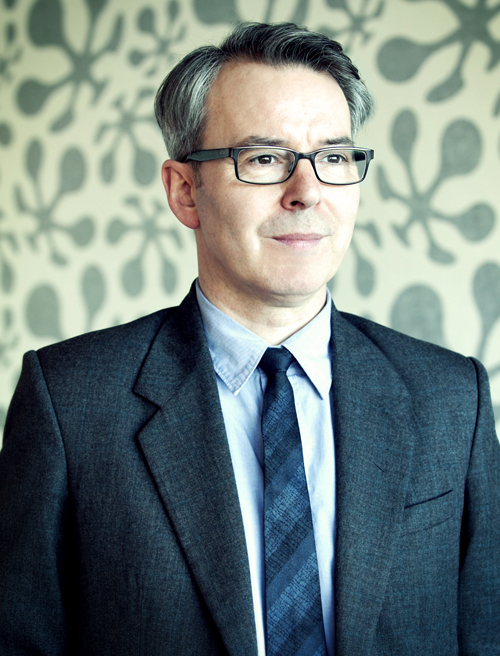 Pete returned to Scotland as SMARTS’ Creative Director again in 2006. An award winner on both sides of the Atlantic, Pete’s work has been recognised in many creative and ‘marketing effectiveness’ schemes. He has won Best for Creativity/Innovation in the UK client poll conducted by the Recommended Agency Register in 2012, 2103 and 2014. He has spoken on creativity and communications at the Edinburgh Festival, Chartered Institute of Marketing, the Institute of Practitioners in Advertising, Royal Society for the Arts, the Direct Marketing Association and Edinburgh University. He also writes regularly on social and cultural issues for Scotland’s national newspaper The Scotsman. Along with commercials and films for Scottish music luminaries such as James Grant and Hue & Cry, his personal work includes a ‘mini-feature’ shot on 35mm, based on his Dad’s life in Depression-era Glasgow entitled Sadie’s Story. He has two talented, grown-up daughters, and lives in Edinburgh with his wife and their friendly patchwork cat Twiggles.